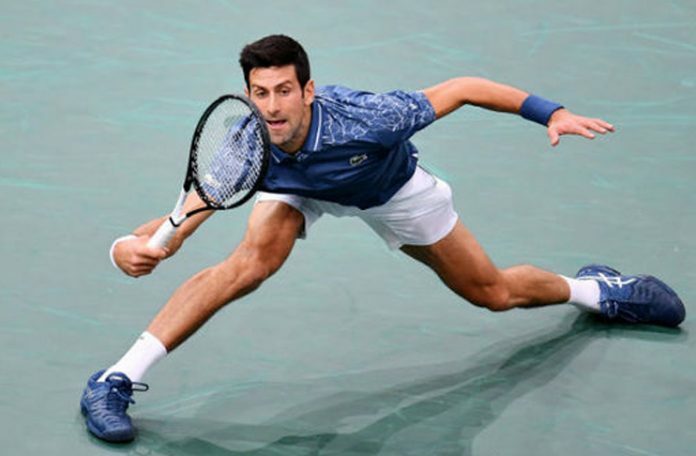 PARIS: Novak Djokovic overcame nagging flu and a formidable examination from Marin Cilic, having to come from a set down to forge into the Paris Masters semi-finals with racket-smashing intensity and extend his winning streak to 21 matches on Friday. It was all the more remarkable as the Serb revealed afterwards that he was still feeling under the weather. “I’m still struggling. It’s kind of the flu. But it’s not easy to perform every single day, the energy levels are not as high,” he told reporters. The Serb was in such an intense mood that even when he was fighting back in the second set, leading 5-2, he screamed at his team, demanding to know why he had not received vitamin tablets. Federer, in stark contrast, was hardly stretched in despatching Nishikori, beating the Japanese for a sixth straight time while not dropping serve. He did, though, offer glimpses of his very best, which will be needed to beat Djokovic in their 47th meeting on Saturday. “I know Novak’s on a hot streak so I think it’s going to be tough. 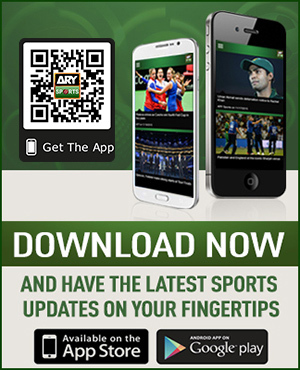 But nevertheless, I think I’ve got nothing to lose,” Federer said. Earlier, Russian Karen Khachanov pulled off one of the surprises of the tournament when he outplayed top young gun Alexander Zverev 6-1 6-2 to reach the other semi against Dominic Thiem, who beat defending champion Jack Sock 4-6 6-4 6-4. Khachanov, at 22 another of the sport’s brightest prospects, took ruthless advantage of the 21-year-old German’s physical struggles as Zverev, battling with shoulder trouble, needed a medical timeout in the first set at 4-1 down. 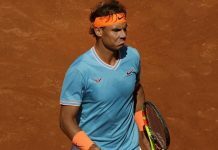 The Muscovite deserved all the credit for the quality of his power game, however, as he broke the world number five’s serve six times in 70 minutes.